This is another in the series of my “Honest Reviews” where I review online poker sites and software and give my honest feedback. There is no sugar coating and I give my opinion on not only what I like about the poker room, but also (and perhaps more importantly) what I don’t like. This time I am looking at Full Tilt Poker, which is a room I have been playing at for 6 or 7 years now. What’s different about this room is that there are two versions of Full Tilt Poker. The “old” and the “new” Full Tilt Poker. The “old” Full Tilt was launched and run by famous poker players such as Howard Lederer and Chris Ferguson which then ran into troubles with the US government after accepting players from the USA, nearly bankrupting them. The “new” Full Tilt was relaunched after being taken over by the worlds leading operator Pokerstars. I’m not going to go into the details here about the Pokerstars rescue of Full Tilt Poker, but you can use that link to read more about it if you so wish. The same software is still used, but obviously the new company is run differently and somewhat more professionally than the old one. 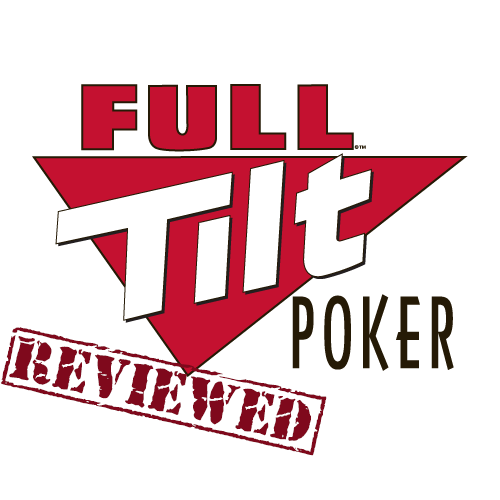 Launched in 2004, Full Tilt Poker was an exciting and refreshing brand in the online poker space. The unique selling point was that the software and features were designed by famous poker pros which formed Team Full Tilt and although we didn’t know it at the time, most of whom turned out to be the owners behind the original company. Because of the fact it was made by players for players it seemed like the company had a clear vision of what serious online poker players would want and expect to find in an online poker room and they went on to produce top-notch software, with many online players claiming it to be the best in the business. Prior to Black Friday (the name given to the day the US Government took action against a number of online poker rooms which accepted US players), the poker room was accepting American players, but after Pokerstars did a deal with the former owners and the U.S. DOJ to rescue and relaunch the brand, it no longer accepts them. But you will still find a great diversity of players from countries all around the world at the tables. Full Tilt Poker holds a gaming license from the Isle of Man Gambling Supervision Commission that ensures an honest gaming experience with a strong commitment to its players. The Isle of Man is located in the Irish Sea right in the middle between England, Scotland, Ireland and Wales. The island is a possession of the British Crown but technically is not a part of the United Kingdom even though its inhabitants are classed as British citizens. The Isle of Man Gambling Supervision Commission with it’s close ties to the UK is one of the leading Gambling Licensing Authorities in the World and is the regulator of many leading online gambling brands. Compared to some of the small islands around the world that I have hardly heard of that regulate some less trustworthy online poker brands I have full faith in the Isle of Man as a regulator and being from the UK myself I’m confident in it’s ability to regulate and keep tabs on a company that is handling my money. I’m going to start with the things I don’t like about Full Tilt Poker. You may not agree, and that is fine as it is just my opinion, but lets get straight into it. Full Tilt offer a wide variety of poker games like Texas Hold’em in No Limit, Pot Limit, and Fixed Limit variations; Omaha and Omaha Hi/Lo, 7 Card Stud & 7 Card Stud Hi/lo, Razz, Badugi, and other mixed games. Also offered are different Sit & Go’s and multi-table tournaments, which will make you grind your teeth and get your heart pumping once you get involved in the action. There is plenty of traffic in the multi-table tournaments, sit and gos and no limit holdem and pot limit Omaha cash games. The issue is when you are playing during off peak times then it can sometimes be difficult to find an active cash table for some of the less popular variants of poker. I have been playing poker for a long time and sometimes to keep things interesting I like to try my hand at some more exotic variants of poker such as Stud and Razz. Well the traffic at Full Tilt is not as high for these sorts of games as the more standard Holdem variations and so you can sometimes find yourself waiting around for enough players to start a game. It usually only takes 10 or 20 minutes but compared to the instant availability of Holdem or Pot Limit Omaha games it is slightly frustrating. Since Full Tilt Poker is an independent online poker room it doesn’t share its traffic base with other sites on a network. Despite this, they’re still the 2nd largest poker site on the internet, which ensures plenty of action at most tables and limits. Real money player statistics reach 25,000 tournament and ring game players during peak hours especially on “Big Money” Sundays each week when a lot of their large guarantee tournaments take place. The high traffic levels have it’s benefits of not having to wait around long for a cash table or sit and go. It also leads to some great prize pools in the tournaments as they get lots of entrants. This however, for me, is also something I don’t like because they also take a number of hours to complete. This is fine most of the time, however sometimes if you just have a couple of hours to spare you can’t jump into a tournament because you haven’t got the time. In this situation where I am short on time, I find that I have to either player a smaller sit and go tournament, or log onto a poker site with smaller traffic levels to enter a tournament that will be finished quicker. Full Tilt were the pioneers of the fast form of poker with their revolutionary format called Rush Poker. This game is exclusive to FTP and is a fast fold version of online poker which you can play in cash game format or tournament format. In Rush Poker, as soon as you fold your hand you are instantly moved to a new table to play against a different set of opponents. It completely eliminates the waiting time between hands and due to the game’s format, you get to play a lot more hands then you normally would. Now don’t get me wrong, Rush Poker is extremely fun, and the action is frantic (if you want a way for your head to explode just try multi-tabling Rush Poker!). I’ll play it from time to time, but for me personally it takes a lot of the skill away from poker and turns it much more into a game of chance. Part of my love affair with poker is the challenge of trying to read my opponents and to do this you need to build up information while you are playing against them. With Rush Poker you get a new set of opponents every few seconds, sometimes not even having enough time to read their names, so this element which I so enjoy is completely removed from the game. So now that I have told you what I don’t like about Full Tilt, lets take a look at the positives that I think reflect well on them. I mentioned earlier that many online players consider the software to be the best in the business. Well in my opinion it is one of the best two online poker software platforms, along with the Pokerstars software. The software performs really well and is fast. I have not experienced any noticeable lag or delay when playing or navigating through the game lobbies. It’s also reliable when multi-tabling, you can play up to 16 tables at once, not that I have tried this (or am ever likely to!). The software is fully compatible with Mac and Windows and is also mobile compatible for iPhone, iPad and Android (see the next section for more details). You can really tell that the software and features have been designed by players for players as it contains some really awesome features that are actually quite simple concepts but make the whole experience much easier and more enjoyable for recreational players like myself. One of my favourite features is the distinct and innovative graphics, it’s highly interactive and there is a great emphasis on creating a fun gaming experience. For instance, players can choose their own cartoon-like avatar, which can display different emotions, and customize their background environment at each table. Players can choose between a Vegas skyline, beach scene, jungle, ski lodge, outer space, plus more. My favourite is the Monkey avatar. Trust me, nothing makes you giggle more than changing your characters face to a happy smile when you’ve just won a big pot, or an angry face when someone’s just sucked out on you on the river! The mobile software is great, I have played on my iPad and find using the touch screen really works great and makes the interface for placing bets really quick and easy. To use the software on your touch screen device I would recommend downloading the Full Tilt Poker software first on your desktop to initially create your account, as it is a much easier process on your desktop. Then once you have your account setup just download the app for your touch screen device from the relevant app store and you can play straight away by signing in with your username & password which you have already created. 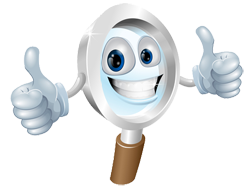 Aside from its sleek graphics and fun cartoon style avatars, there are many useful features for new players to benefit from on both it’s website and included directly in the software. For example there is a general terminology dictionary, games rules for each poker variant that can be played, hand rankings and tips for you to consult at any point during the game. Also if you run into any difficulties there is a customer support team at your service 24/7. I’ve only had the need to contact them twice in the time that I’ve played there (once about a cash out and once about a query I had about how they kept player funds segregated) but both times they responded quickly and resolved my query. I have always loved following poker and enjoy watching some of the well known pro’s on the TV playing for stakes I could only dream of. 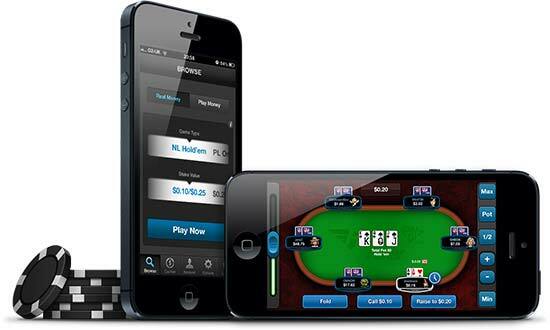 Full Tilt Poker has a number of world-class poker pro endorsers like Tom Dwan, Viktor Blom, and Gus Hansen. Known as “The Professionals”, these three fearless high stakes cash game players can be regularly seen at the biggest NLHE and PLO games on the site. I often log on while I am sitting watching TV and catch these guys playing, load up their table and watch the nose bleed bets being thrown across the table. Great entertainment and more often than not they are happy to chat to you in the chat box while playing. To find them just use the “Player Search” feature in the software menu. Full Tilt offers a full range of deposit options to allow you to get money into your player account to play with. My favoured methods are supported which is Neteller or using my Credit Card, and they also offer many more methods such as Visa, MasterCard, Click2Pay, Skrill, Check, Wire Transfer, EPassport, InstaDebit. I have never had a problem with a deposit, the forms are simple to submit your info and I usually have cleared funds in my player account within minutes. I have also found cash outs are processed quickly and only take a few days to hit your bank account. I have only ever had one issue with a cash out, but customer service resolved it quickly and it actually turned out to be my error in that I had entered a digit incorrectly in my cash out request (oops!). These guys really know how to reward and retain their players. Firstly they offer an excellent sign up and first deposit bonus of 100% match on your deposit up to $600. The welcome bonus gets released into your player’s account in increments of $20 (see our Full Tilt Bonus Guide for more details). Then they reward your ongoing loyalty with their generous Player Points scheme which gives you the opportunity of earning “Full Tilt Points” each time you play. You are given cash back each week depending on the amount of points you earn. On top of this you retain your points balance which can also be traded in for free Ring Game or Tournament entry tickets, or be spent in the Full Tilt Store. The more you play, the more you earn as the rate you earn per point increases as your status level increases. Finally, the FTP promotional tournaments are excellent. On a daily basis there are big guaranteed prize tournaments culminating in their “Big Money Sunday” which has various prestigious tournaments running with more than $1million being handed out in prize money. You will also find tournaments running with guaranteed seats to some of the most exciting live events in major cities around the world as prizes, including the WSOP, UKIPT, ANZPT, BSOP, and many more. When browsing the different games in the main lobby screen, click on the Live Events tab, and you will see a list of all the qualifiers at Full Tilt. 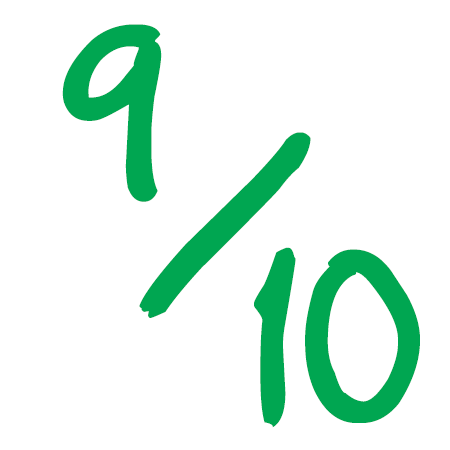 If I had to give a rating then I would go for a 9 out of 10, there’s still room for improvement, but they deliver a pretty good poker experience already. What are your thoughts on Full Tilt? I’d love to hear your feedback in the comments below.